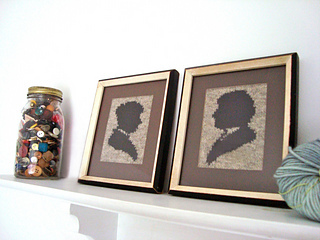 Silhouette portraits have been popular since the 18th century before the advent of photography. It was the cheapest and easiest way to capture the image of a loved one and to this day they have a unique presence as art pieces in the home. 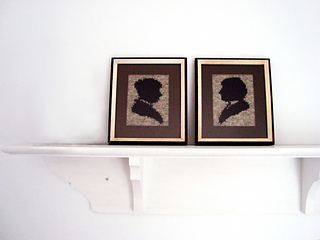 This elegant couple is easy and quick to knit and adds a bit of Victorian nostalgia to any space. A good project to practice intarsia! One ball each of Drops Fabel in MC and CC is enough to make both silhouettes.